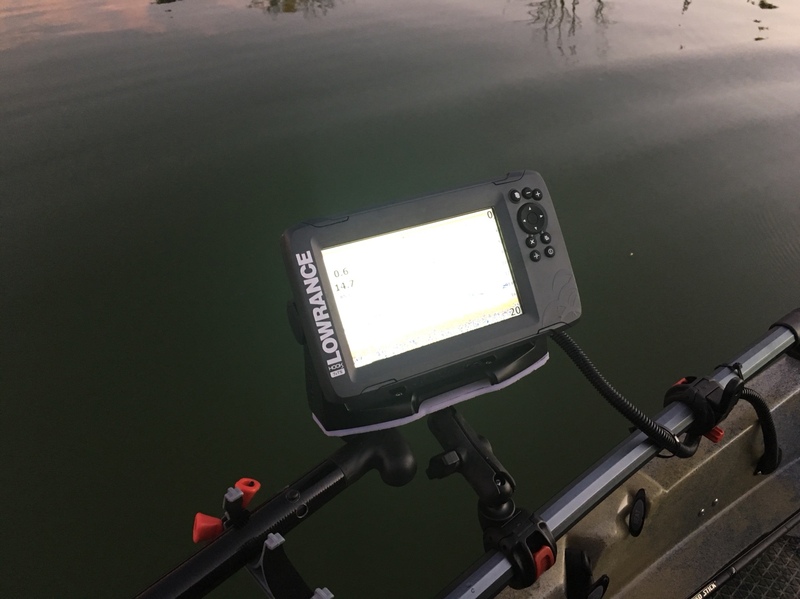 I purchased a Lowrance Hook 5 to install on my PA12. Install went fine but found that the mount attachment on the back of the Lawrence has been changed such that my RAM 1" mount tower will not work. Has anyone else run into this issue and what solutions were applied? 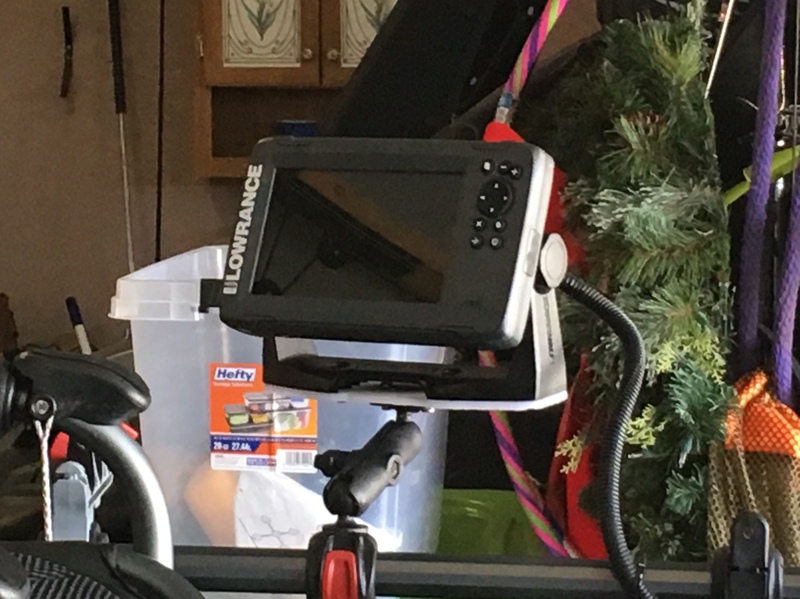 The included Lowrance mount is not very useful for me. I just ordered Hobie Part Numbers 84620151, 1.5" Ram Ball H /rail Mount; and 72023054, Ram Lowrance Base with 1.5" Arm. I have not received these parts yet so I'm hoping they work well. I ran into the same problem. So I used an old cutting board and fabricated my own mount. I have the Lowrance Hook 2- 7”. I’ll try to post some pics. 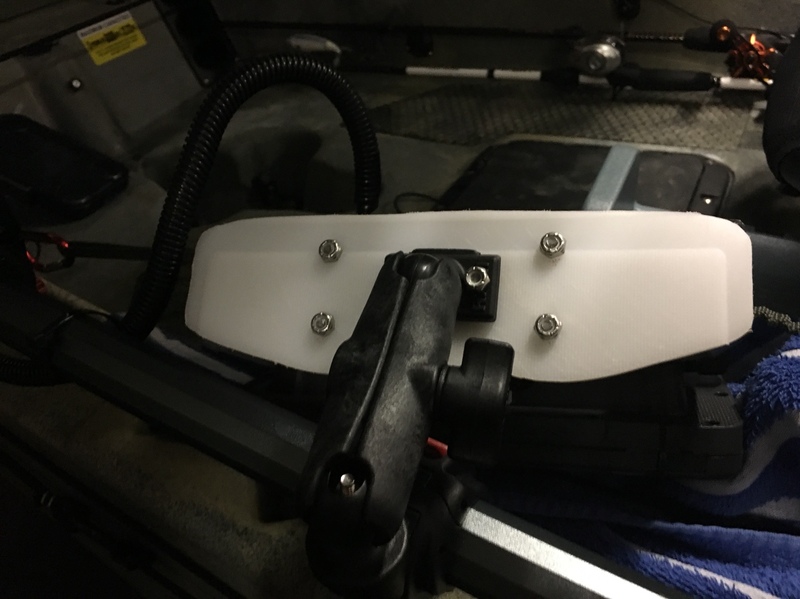 I cut the two arms off that were on the top ram ball, drilled two holes in it and traced the base of the Lowrance mounting bracket onto the cutting board. I then bolted the ball to the cutting board and then attached the mounting bracket from Lowrance to the cutting board. This is the bottom view. This is the side view. I guess I should’ve just bought a black cutting board but I was dying to try out the new fish finder. Lol.